Dr. Norman Levine is the CEO of Orthopedics and Sports Medicine. In this video, he explains that his company was working with another RCM company when they were acquired by MTBC in 2016. He speaks to his positive experiences with the transition, describing the resources that were made available to his team as well as the significant improvements he has seen. Joy Schare was the leader of an RCM company that MTBC acquired. 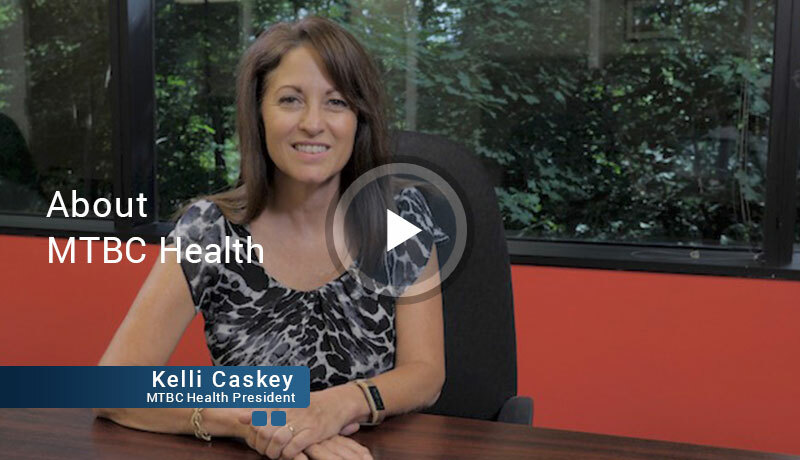 In this video, she describes how MTBC was a great partner in helping to navigate the transaction by ensuring there were no disruptions and that services were enhanced. The combined resources and technology resulted in improved efficiencies and increased revenues. MTBC is a publicly traded, NASDAQ listed company. In our seventeen-year history, MTBC has established itself as a leader in the industries of revenue cycle management and healthcare information technology. The MTBC family of companies offers clients a level of service and individualized business solutions that cannot be matched. MTBC serves hospitals and thousands of healthcare providers practicing in a variety of practice settings across the healthcare continuum. Our capabilities include the ability to work across more than 40 different platforms, as well as our own propriety software products. We have partnered with a variety of healthcare organizations to extend our reach to all 50 States. MTBC offers physician practices end-to-end revenue cycle management services and other related business services including credentialing, coding, practice management, business intelligence data management. In addition, we offer a comprehensive product portfolio of fully integrated clinical and practice management solutions. Our business services and related technological solutions aid healthcare providers to cost-effectively and successfully meet regulatory challenges and prosper amidst a rapidly shifting healthcare industry environment. MTBC consistently innovates to keep pace with a global healthcare environment that enables transformational change in healthcare through service and technology. How did MTBC Health, Inc. become my service provider? MTBC and Orion HealthCorp, Inc. entered into an agreement under which MTBC would purchase a substantial portion of Orion’s assets. Details can be found here. Through this Asset Purchase Agreement, MTBC acquired the customer contracts previously serviced by Orion HealthCorp, Inc., and its affiliates. MTBC also acquired certain other assets including all of the accounts receivable and works in progress of Orion HealthCorp, Inc.
How will this affect my business with Orion HealthCorp, Inc., or its affiliated companies? Customers will experience no disruption in the service they have been receiving. MTBC Health, Inc. has extended employment offers to nearly all Orion and Allegiance employees. As such, account managers and key contact for all customers should remain the same. Through the transition and beyond, it is our commitment to provide you with the same services you were already receiving, while enhancing the level of service and providing you with the innovative solutions to aid in the success of your business enterprise. The most important change our clients will see is an increased focus on customer satisfaction, problem-solving, and innovation. Clients will also benefit from the additional resources and service options afforded by the MTBC family of companies. MTBC offers its customers end-to-end revenue cycle management services, as well as a comprehensive product portfolio of innovative healthcare IT solutions. It is our goal to provide you with solutions to add value to your business, and allow you to focus on patient care. If there is anything we can do to improve the services you have been receiving, or provide additional assistance to your practice, please do not hesitate to contact us. How do I know I can trust MTBC with my company’s business? Since its inception seventeen years ago, MTBC has established its position in the marketplace as a leader in revenue cycle management and healthcare technology solutions. We are one of the fastest-growing public companies in our space, while operating profitably and generating positive cash flow from our operations. Since January 1, 2017, MTBC has achieved a 400%+ common stock increase as a result of its focus on meeting the needs and exceeding the expectations of its growing customer base. MTBC employs a team of over 2,000 talented employees in the US and globally, committed to its core values of honesty, innovation, passion, problem-solving, respect, and service. Our distinguished board of directors and management team, includes the former CFO of American Express, a retired United States Ambassador, a Harvard University MBA, an attorney, and other accomplished business leaders. These capable individuals bring significant healthcare industry, public company, and acquisition experience. MTBC services thousands of healthcare provider clients across the United States, including both physician offices and hospitals. These clients represent more than sixty different specialties and subspecialties. Do I need to sign a new contract with MTBC? No, your contract is still in effect with no changes to its terms and conditions. You will continue to receive the same services, at the same prices, as you have received since your relationship with Orion, or its affiliates, began. If you would like to add any services, or explore the platforms MTBC has developed to help manage your practice, please do not hesitate to contact your account manager to discuss your options and schedule a demo. What products and services are offered by MTBC? MTBC’s services include: revenue cycle management, practice management, credentialing, insurance contracting and enrollment, coding, eligibility and prior authorizations, rules-based claim scrubbing, claim submission, proactive rejection and denial management, appeals, payment posting and reconciliation, patient AR management, printing and mailing services, customized reporting and business intelligence, electronic connectivity to third-party collection agencies, as well as dedicated account managers and live patient support. MTBC offers industry-leading cloud-based EHR, PM, and BI platforms, together with mobile apps; we’ll also build interfaces to other systems free of charge. For a full listing of products, please visit www.mtbc.com. Yes, MTBC has an attorney-led compliance team that works to ensure full compliance with all controlling regulations, including Health Insurance Portability and Accountability Act of 1996 (HIPAA), Health Information Technology for Economic and Clinical Health Act (HITECH), and all applicable federal and state privacy laws. We meet or exceed all regulatory requirements. Where can I submit payment for invoices? President, MTBC Health, Inc. & MTBC Practice Management, Corp.
One of our customer support representatives will be in touch with you shortly.